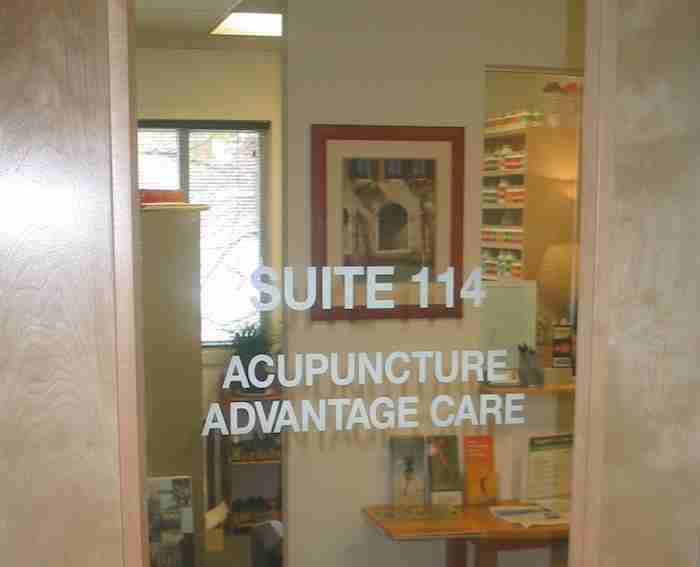 Acupuncture Advantage Care (AAC), currently the acupuncture practice of Jake Avancena, is located on the outskirts of Washington, DC, near Reston. With an affluent and health-conscious population and consistent return business, the opportunity to have an abundant practice drawing from a major metropolitan area is available from the moment you step in. Imagine making more than $115,000 per year working only 4 days per week, with plenty of time off and up to four weeks of vacation. No marketing necessary—the reputation of this practice keeps a steady flow of new patients streaming in. Low overhead, years of records, and consistent patient flow mean you’ll continue to keep your costs predictably low. Whether you are a practitioner who is just starting out, or an established clinician with some years under your belt, AAC offers you the chance to hit the ground running. The community of Herndon is located just outside of Reston, Virginia and is an easy commute from Washington, DC. The Washington, DC metropolitan area contains more than six million people, all within reach of our office, and Herndon lies within the Dulles Technology Corridor, home to many top Internet companies and government agencies. Herndon retains a small-town feel, with about 25,000 residents and the second-highest median household income in the country. It has been recognized as one of Sperling’s “Best Places to Live” owning to its exceptional public schools, low crime rate, and access to amenities. 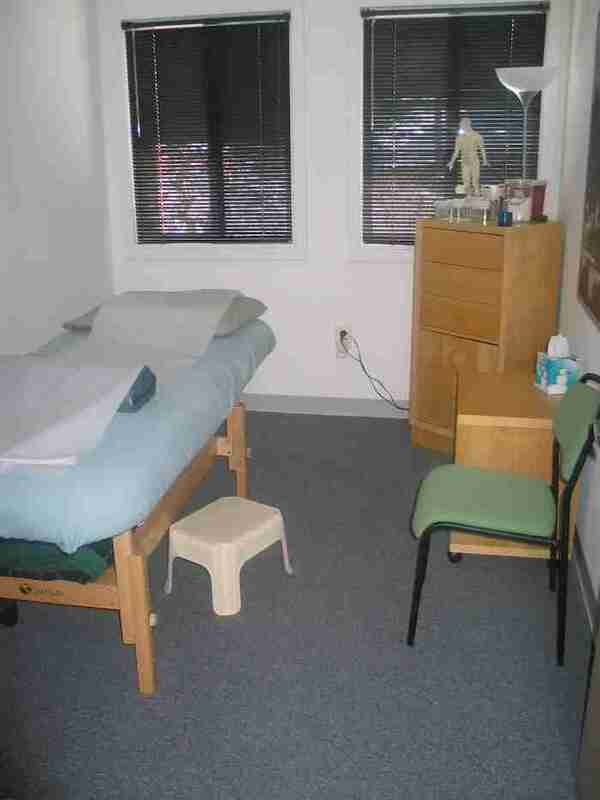 The clinic is located just a few metro stops from Washington, DC. Though officially within the city limits of Herndon, it is closer to the center of its more populous neighbor, Reston, near Reston’s desirable Hospital Center. 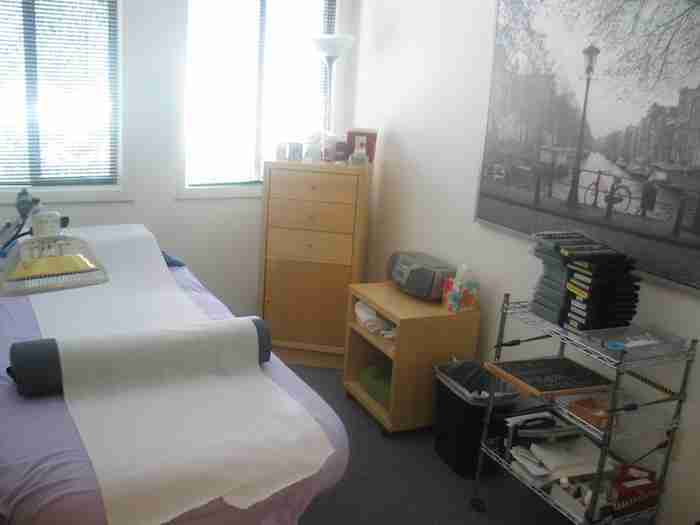 The office consists of 3 treatment rooms and a spare room that could easily be converted to a fourth treatment room. 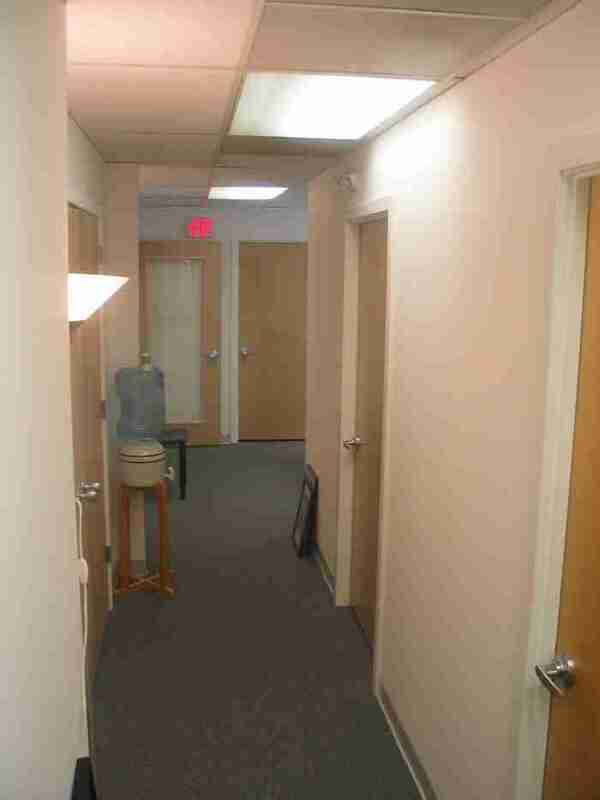 It has a small reception area and office, as well as a good-sized private practitioner office; plenty of storage space; a newly renovated restroom; and lots of free parking. 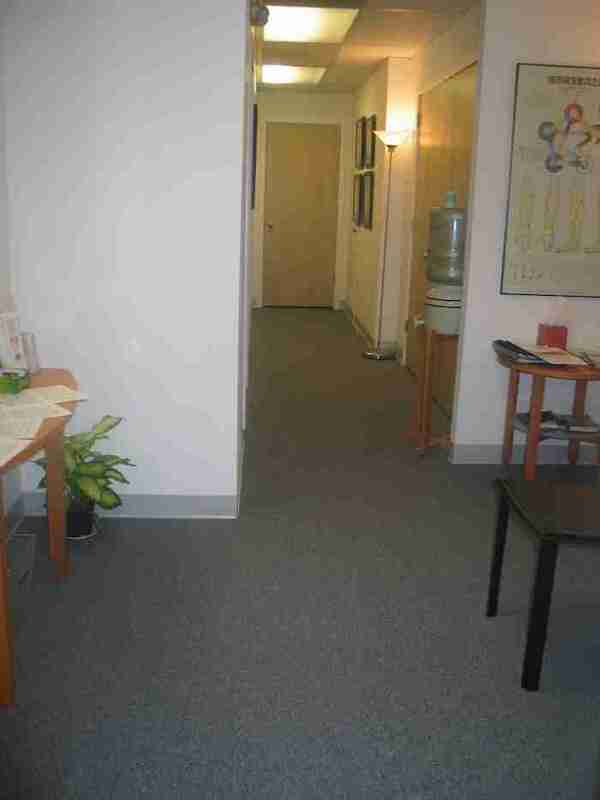 The space is modern and tastefully decorated, and the clinic maintains a close relationship with nearby health providers and the local community, from which it receives many referrals. AAC is a non-specialty practice, where we see everything from subclinical and acute orthopedic conditions to chronic issues that have not responded to other medical interventions. Our patient population has spanned from infants to great grandparents, and everyone in between. That said, the majority of our current patient load mostly consists of professional women between the ages of 25 and 60. We currently average about 140 patients per month, with 2-3 new patients per week, and over 1,000 active patient files. Most of our patients are from communities within 25 miles of our office. Given our long history in the area, almost all of our patients are referred by word-of-mouth, while some come through our online presence. 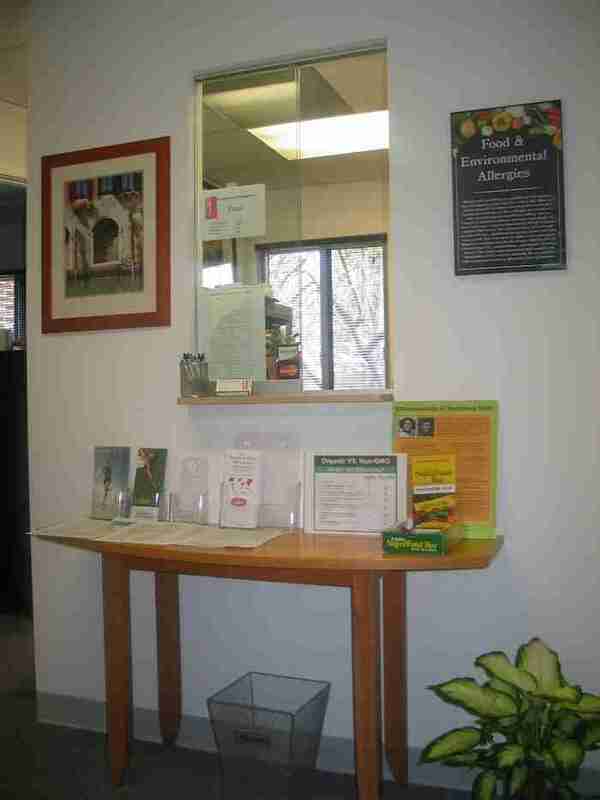 We prescribe herbal medicine and supplements to about 10% of our patients. The following income and expense summaries are derived from an average of income from 2015-2017, and adjusted expenses from YE2017. Note that Mr. Avancena works four days per week and takes about four weeks vacation per year. Average $73,722/year (~$6,144/month) – Over 60% of revenue is profit after expenses. $118,950 OBO. Our price is based on a conservative professional valuation of almost $130,000, with an average yearly gross of about $116,000 for the past several years. Our motivation to sell in a timely fashion has allowed us to generously factor in a discount off of the valued price for potential attrition and start-up costs on change of ownership. We expect the right person will retain our patients and transition smoothly, making this a great opportunity for the buyer. The seller may be willing to hold the loan given a 50% down payment from the buyer. 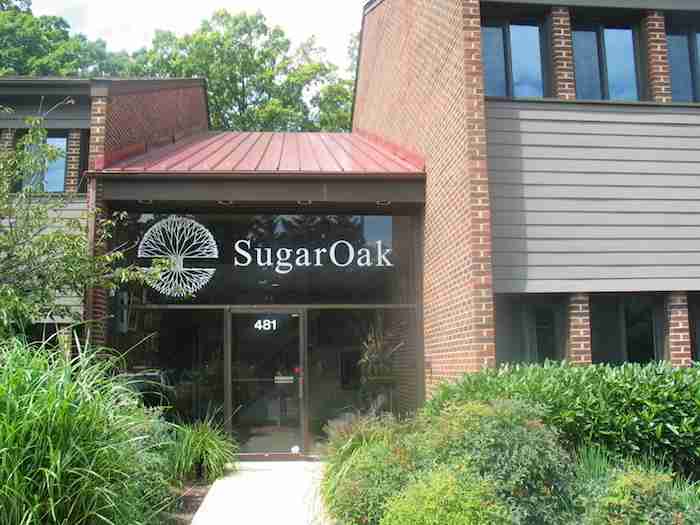 The current owner will also transfer to the new owner all clinic-related intellectual property, including the clinic phone number, website, Facebook page, claimed Yelp page, medical records, and clinic-related financials. The current owner’s goal is to surrender the practice by the end of 2018. He would be willing to stay on for a limited time to train a new owner in his techniques and to assist in the transition, if so desired by the new owner, at no additional cost. Work more hours. Given that the current owner only works 4 days per week and takes up to four weeks off per year, working more hours would obviously increase revenue. Add additional practitioners. In addition to or in lieu of working more hours, the practice could easily support at least one more provider during the times when the office is unoccupied. Do some marketing. We do very little marketing outside of our web presence. We have a database full of patient information that could be used for marketing directly to current and former patients, but we have been busy enough that we haven’t been using it. Doing any kind of additional marketing would create more opportunities for an increase in new patients and a return of pre-existing patients. Improve online presence. The current owner has been successful without putting too much effort into creating an online presence. Blogging, improving the website, paid online marketing, and doing some email marketing all hold great potential to improve awareness of the clinic in order to generate more revenue. Sell more products. Only about 10% of our patients currently take a limited smattering of herbal medicine. Giving a greater percentage of patients the option of supplements offers another opportunity for increased revenue. Take advantage of this exceptional opportunity to run your own high-profit, low-maintenance clinic. Fill out the contact form below, call (540) 604-7613, or email jake1@runbox.com today. Copyright 2019 - Acupuncture Advantage Care, Inc.